Select the project you wish to enter from the project drop-down menu. To the right of the Daily Report, click on the 'ADD' button (displayed as a plus sign '+'). 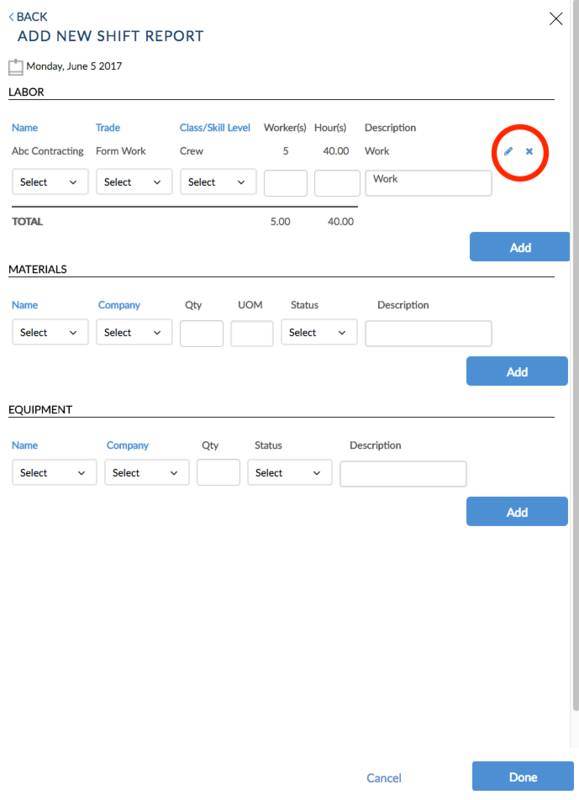 Add labor details under the labor field, and click the blue 'Add' button to keep adding more labor fields. When you are done, make sure you have clicked 'Add' for all labor entries. To edit or delete an entry you've already added, simply click on the field you wish to edit OR the blue pencil icon to the right of the entry. If you use the blue pencil, make sure to click on the blue checkmark when you are done editing your entry. 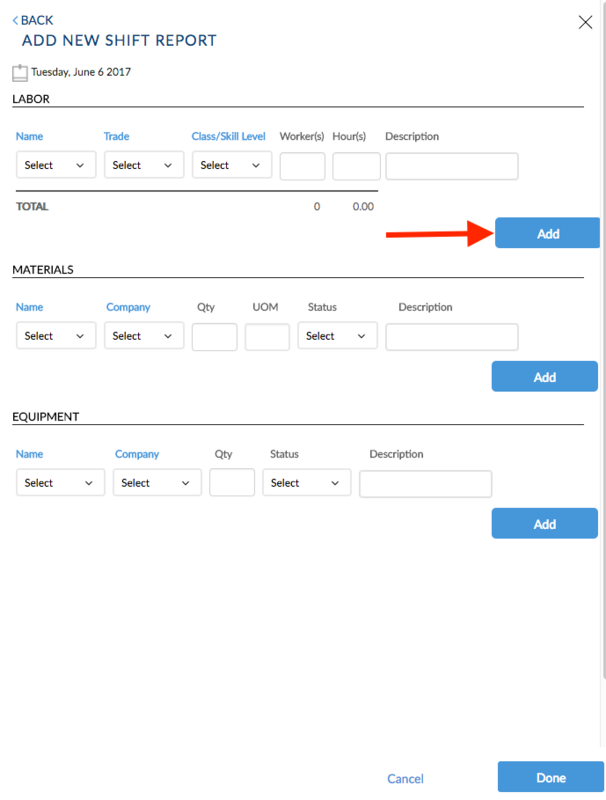 Don't forget to click 'Add' or your labor details will not be saved!